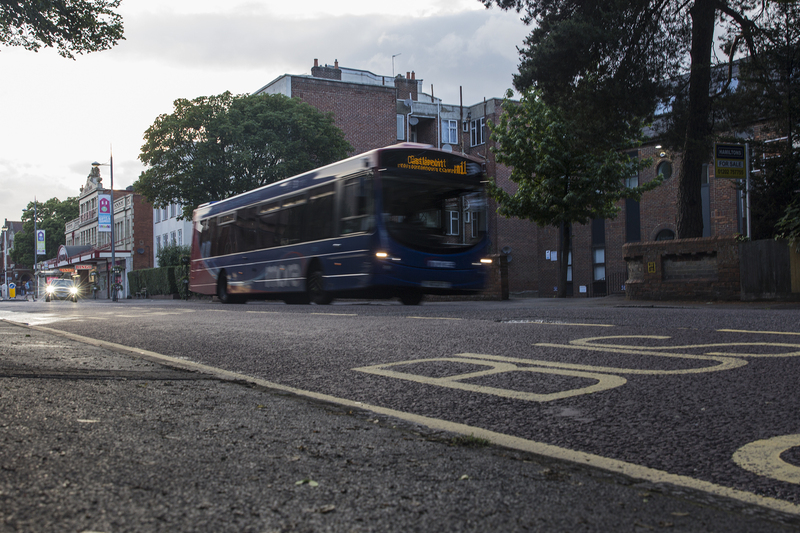 A Brief Look at Bus Routes in Westbourne. In the days of Bournemouth Corporation Transport, Westbourne was served by a tram service that ran from Bournemouth Square all the way to Poole Railway Station. This ceased when Hants & Dorset Motor Services (originally Bournemouth & District Motor Services) started a motor bus service along the route. Bournemouth Tram in Poole Road, Westbourne by the former Congregational Church. When trolleybuses replaced the trams, Westbourne became the terminus of the route from Bournemouth – trolleys using the one-way loop around Seamoor Road and Poole Road to turn. Service 25, running through to Christchurch via Bournemouth & Boscombe became the main route. When trolleybuses were finally withdrawn, the route continued as a motor bus service.Since this time, there have been many changes. The company became “Yellow Buses”, a wholly-owned subsidiary of Bournemouth Corporation. It was subsequently sold to TransDev, who then sold the company on to the current owners “RAPT”. The bus routes in Westbourne now bear little resemblance to the past. At one time the “Yellows” operated almost exclusively within the Bournemouth conurbation, leaving the out-lying areas to Hants & Dorset and sister company Wilts & Dorset. Wilts & Dorset now operates across the Bournemouth and Poole area under the “More” brand, and Yellow Buses operate several services into Poole. Ironically, services 1B and 1C now largely follow the original tram route! Current Bus Routes in Westbourne.